Unfortunately we have no mailbox facilities available at this time. We can add your name to our waiting list. We offer registered address & mailbox facilities for businesses, perfect for those seeking a professional public image for their business. Your post will be secured in an onsite post box. A key will be provided for you to collect your post when suits you. As a virtual office customer, you are entitled to 20% off conference room and event space hire fees (free AV equipment use with room hire). Please contact us to inquire about costings. * The aim of Eighty81 is to focus on the needs of creative industry entrepreneurs. Creative businesses will be classified as eligible for reduced creative industry prices for virtual services using the UK’s definition of the creative industries - ‘those industries that are based on individual creativity, skill and talent with the potential to create wealth and jobs through developing intellectual property’ - includes thirteen sectors: advertising, architecture, the art and antiques market, crafts, design, designer fashion, film, interactive leisure software (ie. video games), music, the performing arts, publishing, software, and television and radio. We will redirect up to 15 items of the regular sized (including standard large letter sized) post to the address of your choice per calendar month. Post beyond the 15 letters will be charged at the price of postage and the cost will be added to your following bill. 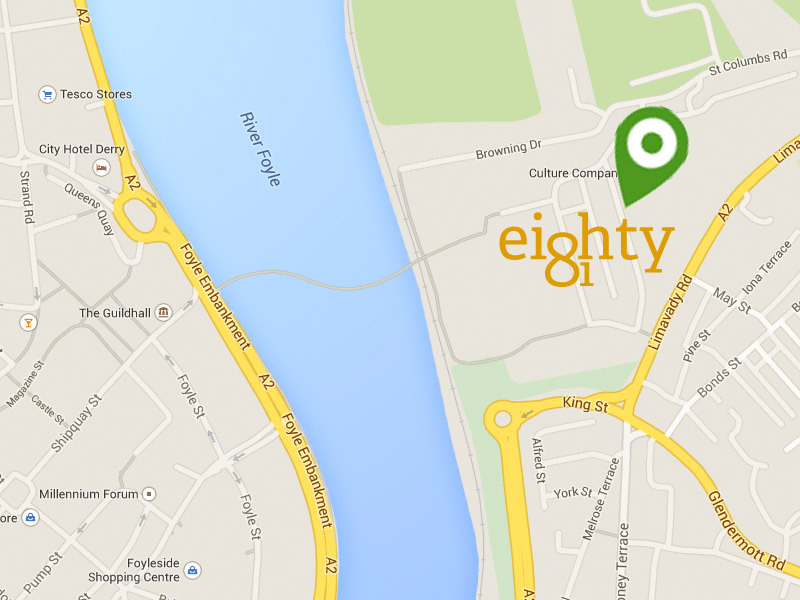 *The aim of Eighty81 is to focus on the needs of creative industry entrepreneurs. Creative businesses will be classified as eligible for reduced creative industry prices for virtual services using the UK’s definition of the creative industries - ‘those industries that are based on individual creativity, skill and talent with the potential to create wealth and jobs through developing intellectual property’ - includes thirteen sectors: advertising, architecture, the art and antiques market, crafts, design, designer fashion, film, interactive leisure software (ie. video games), music, the performing arts, publishing, software, and television and radio. With the Basic Service when can I collect my mail? You will be provided with a key to your post box. You may collect your mail when suits you. If I sign up for the Advanced Service how will I receive my mail? Mail will be redirected via Royal Mail to the address supplied on a weekly basis. With the Advanced Service is there a limit to the volume of mail redirected? Yes, inclusive of the fee we will redirect up to 15 items of the regular sized (including standard large letter sized) post to the address of your choice per calendar month. Post beyond the 15 letters will be charged at the price of postage and the cost will be added to your following bill. What about parcels and oversized letters? We will let you know via email when any parcels or oversized letters arrive, however unfortunately due to the costs involved all parcels and oversized letters (not including standard large letter sized post) must be collected at an arranged time. How much do the business address services cost? For UK creative businesses our basic business address service costs £15 per month or for our advanced business address service £25 per month. For UK non-creative businesses our basic business address service costs £25 per month or for our advanced business address service £35 per month. How does the fee for the service have to be paid? All fees must be paid by bank transfer. To enable this we will supply our account details before the account is set up. All monthly fees must be paid quarterly in advance and all annual fees must be paid in full in advance.